Chamber performance affects your measurement accuracy when using an anechoic chamber so it’s essential that the performance is verified regularly to ensure that it is within acceptable limits. We can perform these measurements for you at any location, worldwide and also offer a range of other measurements, including Open Area Test Site (OATS) calibrations, shielding effectiveness, electromagnetic site surveys and test site verification for CISPR 25 and DEF STAN 59-411. Ambient field level and table influence measurements are also available if required. We provide accurate measurements, performed efficiently by some of the most experienced engineers in the business. You need minimal facility downtime so we use custom software and procedures designed to perform measurements quickly without sacrificing measurement accuracy. We offer you the flexibility that you need to work around your schedule and timescales. We will supply you with measurement reports quickly following the calibrations so that you have the data you need without delay. Contact us if to discuss your chamber calibration requirements. A new anechoic chamber is a large investment so it’s important to have the performance independently and professionally validated. We work with many of the leading anechoic chamber suppliers to provide independent and accredited calibration of newly installed chambers. Our flexibility, experience and independence gives you the service you require for validating your new chamber installation. We understand that there are sometimes delays in chamber construction projects so we offer youflexible scheduling to ensure that we are on-site when needed in the project. We have calibrated hundreds of chambers worldwide of all shapes and sizes and all types of absorber technology. We have the experience required to quickly diagnose any problems to help you achieve the best possible chamber performance. We provide you with a quick turnaround of measurement reports allowing projects to be completed without delay. We are totally independent so you get the confidence of having impartial measurements performed by a 3rd party. Regular recalibration of EMC chambers and test sites. 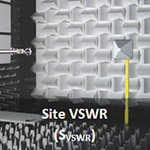 Because the performance of your anechoic chamber will directly affect the accuracy of your measurements, it should be treated just like your test instruments and recalibrated regularly. Our chamber calibration service offers you the quickest way of validating your chamber performance, resulting in minimal down-time for you so that you can get the most use of your chamber and engineering personnel. Alternatively, contact us to discuss calibration of your new chamber or regular chamber recalibration requirements in more detail.